With respect to the GST, there are two kinds of taxes levied on supply – on the intrastate and the interstate. The central government and the respective state governments levy taxes on the intrastate supplies. Additionally, there are taxes levied on goods and services within Union Territories known as the Union Territory GST. 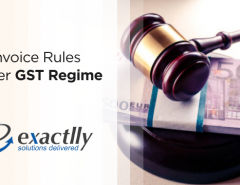 As on April 6, 2017, the UTGST bill, along with the central and interstate GST bills was passed and has come into effect with the UTGST being levied in place of the state GST within the respective union territories. Since Delhi and Puducherry are states which have their own legislature, they are known as semi-states. In keeping with this, under the Indian Constitution, the state GST is levied on Delhi and Puducherry, just as it is levied on all the other states in the country. An explanation for this stems from the definition of ‘states’ as per the Indian Constitution which includes any union territory that has its own legislature. 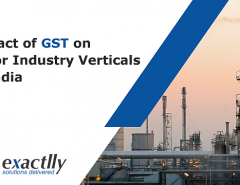 When a supply takes place within the states of Delhi or Puducherry, the central and state GST shall apply; and when the supply takes place from the states of Delhi or Puducherry to a different state or union territory, the interstate GST shall be levied. How is the Tax Levied? Assuming, however, if instead of Daman and Diu the territory in question was West Bengal, the GST pertaining to the state would be applicable. When the supply of goods and services takes place from one union territory to another union territory or state, the interstate GST shall be applicable, as its name suggests. It is pertinent to note that just as the state GST can be used as credit to set off the tax payable, so can the UTGST. 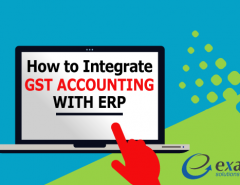 Thus, if the input tax credit is UTGST, the UTGST and then the interstate GST shall be used to set-off against the liability in that respective order. However, keep in mind that the UTGST credit cannot be used to set-off against any liability that arises from the central GST.